The group meets at 8 Dunkirk Avenue, Kingsgrove at 7.30pm - 9.00pm every Tuesday. 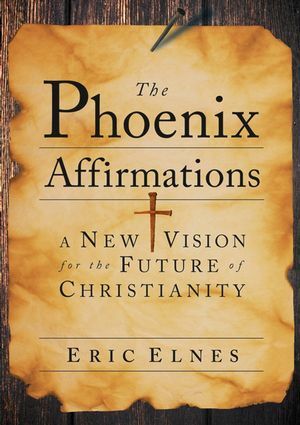 ​Currently we are using 'The Phoenix Affirmations: A new vision for the future of Christianity' by Eric Elnes. The book was chosen because it highlights the importance of Christians articulating and living a faith that is essentially about love: love of God, love of neighbour and love of self. The Phoenix Affirmations, named for the town in which the principles were created and the mythological bird adopted by ancient Christians as a symbol of resurrection, offers disillusioned and spiritually homeless Christians and others a sense of hope and a more tolerant, joyful, and compassionate message than those we often hear from the media and some Christian leaders. These twelve central affirmative principles of Christian faith are built on the three great loves that the Bible reveals: love of God, love of neighbor, and love of self. They reflect commitments to environmental stewardship, social justice, and artistic expression as well as openness to other faiths. Transcending theological and culture wars, inclusive and generous in spirit and practice, these principles ask believers and seekers alike to affirm their Christian faith in a fresh way. Walking fully in the Path of Jesus without denying the legitimacy of other paths that God may provide for humanity. Listening for God’s Word, which comes through daily prayer and meditation, studying the ancient testimonies which we call Scripture, and attending to God’s present activity in the world. Celebrating the God whose Spirit pervades and whose glory is reflected in all of God’s Creation, including the earth and its ecosystems, the sacred and secular, the Christian and non-Christian, the human and non-human. Expressing our love in worship that is as sincere, vibrant, and artful as it is scriptural. Engaging people authentically, as Jesus did, treating all as creations made in God’s very image, regardless of race, gender, sexual orientation, age, physical or mental ability, nationality, or economic class. Standing, as Jesus does, with the outcast and oppressed, the denigrated and afflicted, seeking peace and justice with or without the support of others. Preserving religious freedom and the church’s ability to speak prophetically to government by resisting the commingling of church and state. Walking humbly with God, acknowledging our own shortcomings while honestly seeking to understand and call forth the best in others, including those who consider us their enemies. Basing our lives on the faith that in Christ all things are made new and that we, and all people, are loved beyond our wildest imaginations—for eternity. Claiming the sacredness of both our minds and our hearts, and recognizing that faith and science, doubt and belief serve the pursuit of truth. Caring for our bodies and insisting on taking time to enjoy the benefits of prayer, reflection, worship, and recreation in addition to work. Acting on the faith that we are born with a meaning and purpose, a vocation and ministry that serve to strengthen and extend God’s realm of love.